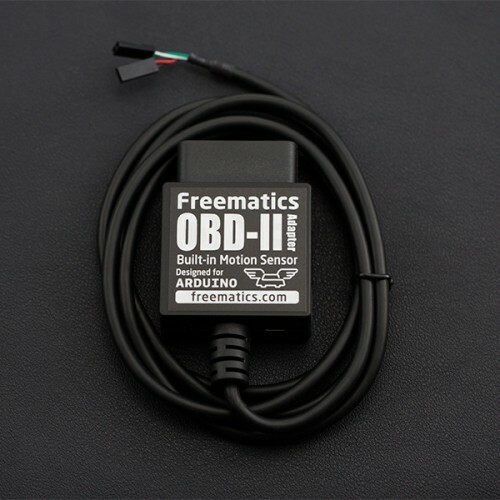 This product works as a data bridge between a car’s OBD port and Arduino (or similar hardware) with a dedicated open-source library provided. It provides high-speed OBD-II data access and integrates 9-DOF motion sensor with built-in sensor fusion algorithm. 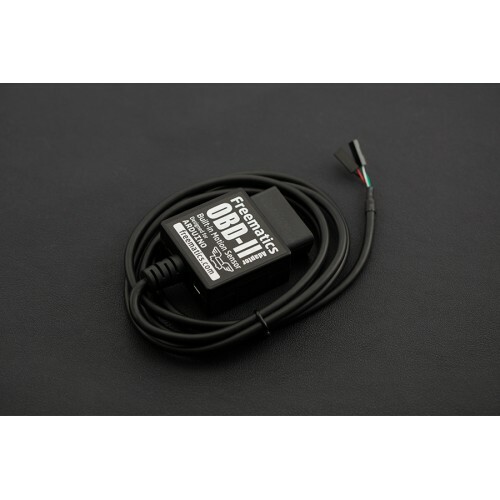 The adapter is powered directly from OBD port and outputs regulated 5V voltage for powering attached devices. 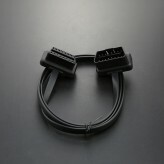 The adapter stays plugged into the OBD port usually located under the steering column or slightly to the left of it. A unpluggable cable comes out from the adapter and splits into one 4-pin connector two 2-pin connectors, including power lines (VCC/GND) and data lines (Rx/Tx). They can be connected to Arduino with onboard breakout pins or breakout shield. 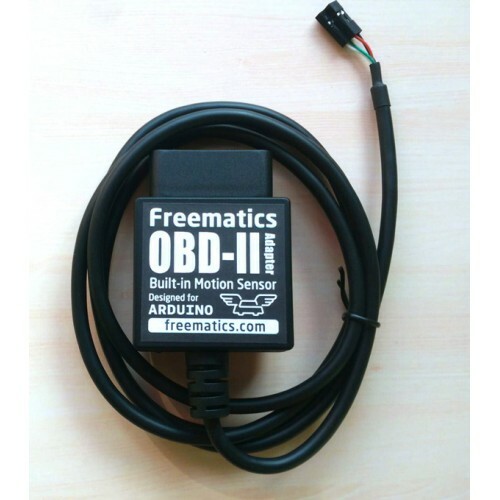 Your Arduino device will look tidy in car with only one cable. Note: Arduino UNO or Nano only has one hardware serial which is also used by USB serial. Avoid using serial output if the adapter is connected to hardware serial. Arduino Leonardo, Mega, Due do not have this limit. A dedicated Arduino library is provided for easy access to all the features with any type of Arduino. Please note not all available AT commands are encapsulated into API. More example sketches are here. Some commonly used PIDs are defined in OBD library as following. Q: Do I need a CAN bus shield to use with the adapter? A: Definitely no. 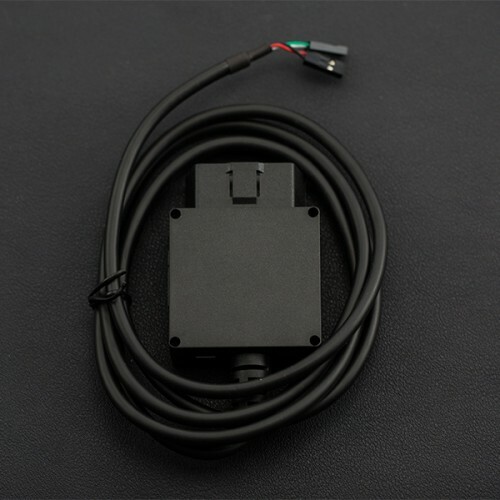 The adapter retrieves data from CAN bus, like a CAN bus shield does and convert the more complicated CAN bus interface to simple serial UART interface which Arduino and most embedded systems are easy to access. The data connection is provided by adapter’s data connector (Rx and Tx). A: The adapter works with all models of Arduino with the dedicated Arduino library and is connected with Arduino by connecting adapter’s Tx to Arduino’s Rx (D0) and adapter’s Rx to Arduino’s Tx (D1). 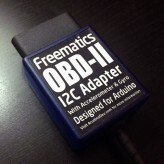 If you want to connect and disconnect the adapter with your Arduino effortlessly, it’s recommended to use a common I/O breakout shield or use an Arduino board with breakout pins for Rx/Tx/VCC/GND. Q: What if I have questions/obstacles about Arduino programming? A: Sorry it is not our responsibility to provide any instructions on Arduino programming. There are abundant online guides and tutorials about Arduino programming for reference.